Dainty Dollymix UK Beauty Blog: Thank You, Thank YOU! 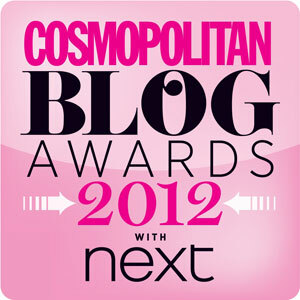 Oh my goodness, believe it or not I have only gone and got myself nominated in the Cosmopolitan 2012 Blog Awards! I am completely shocked, speechless but most importantly over the moon! I could not be happier! I have been nominated in the Established Beauty Blog category and just to have been nominated in this category with some of my favourite bloggers and some very amazing ladies is a dream come true and i truly feel honored! I just want to say a huge thank you to absolutely everyone who nominated me, you absolute superstars, I am shocked beyond belief! To view the list of nominations or to vote, as i said i am under the 'Established Beauty Blog' Category then click here all you need is a email address to view the categories and to vote! As always many thanks to all you ladies who read, comment or have voted, I cant explain how happy i am. P.S I have now joined Facebook and you can like my blog page here!